NJT #26. Going for body work and repainting. NJT 26 was loaded today at Baltimore. 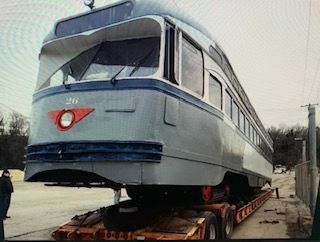 Tomorrow it will travel to RMS in Columbia,PA where it will be restored to its PSCT colors. 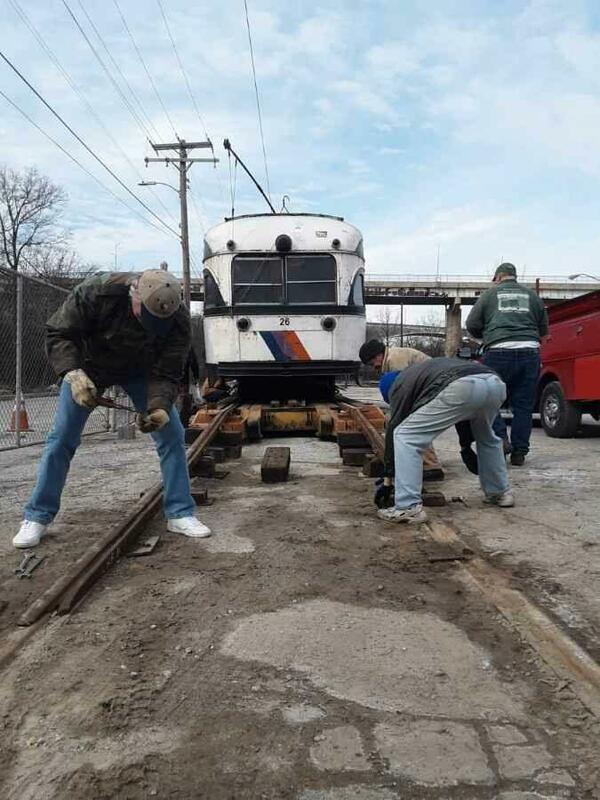 It is mounted on SEPTA broad guage trucks from #2785. BSM is still accepting donations for the project.